The collaboration between Leonardo and the Italian Air Force would be further extended to training of pilots in the fixed-wing, rotary-wing and unmanned domains. Leonardo and Italian Air Force launch International Flight Training School. July 17, 2018 – Leonardo’s CEO, Alessandro Profumo, and the Italian Air Force Chief of Staff, Lt. Gen. Enzo Vecciarelli, today signed a collaboration agreement that will strengthen the training services already offered by the Air Force’s 61st Wing and will establish an all new “International Flight Training School” (IFTS) to support military pilot training. The agreement was signed at an official ceremony held today at the Farnborough International Air Show in London, UK. The IFTS will ensure the further growth and internationalization of the Italian Air Force’s training school while at the same time increasing its capabilities and the range of pilot training solutions offered to the customers. 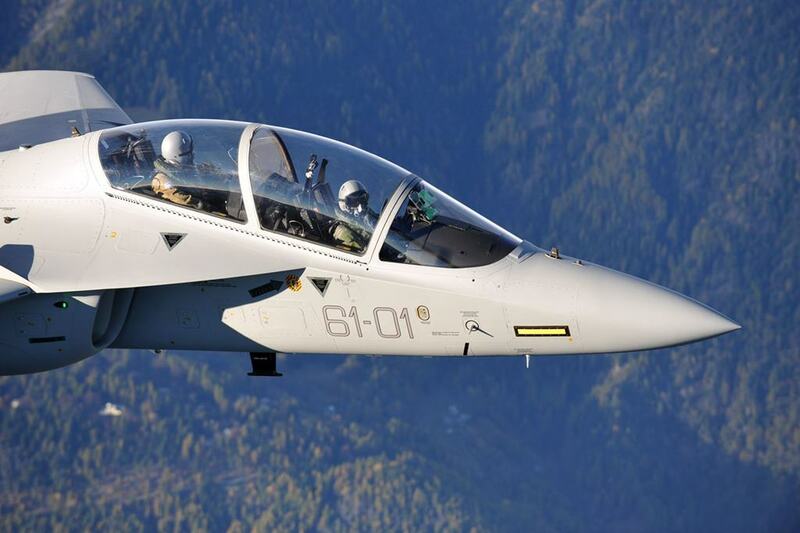 The IFTS will leverage the existing training assets and expertise in advanced military pilot training of the Italian Air Force in addition to Leonardo supplying four additional M-346 aircraft, new systems and services starting from 2019. Based on the current plan, the IFTS will be able to deliver courses for Italian Air Force and international Air Force crews, fulfilling the training demands for military pilots worldwide. Starting from 2021, the Italian Air Force’s entire advanced and pre-operational training syllabus will be moved to a new, dedicated facility. In order to maximize the success of this initiative, Leonardo has been in discussions with two major international players and leading companies in the training sector, Babcock International Group Plc and CAE, with the aim to reinforce IFTS capabilities. Italian Air Force Chief of Staff, Lt. Gen. Enzo Vecciarelli, said: “this initiative is the result of our desire to join two national champions to generate synergies for the benefit of the Nation. The Italian Air Force will strengthen its commitment in the advanced training field, developing a new cooperation model with Leonardo. The ongoing training programmes will benefit from new resources, including new trainers provided by Leonardo at no additional cost to the Air Force. This will maximze the quality of our military training pilots, who will fly 4th and 5th generation fighters. It will also meet the growing demand for training services from international partners”. The Italian Air Force’s advanced training syllabus, based around Leonardo’s innovative integrated training system, has already been demonstrated to be modular and versatile among pilots of several nations and meeting the needs of different air forces. The syllabus meets the requirements of Air Forces whose trainees have undertaken training modules for fourth and fifth generation fighters with the 61° Stormo at Galatina Air Base (Lecce). 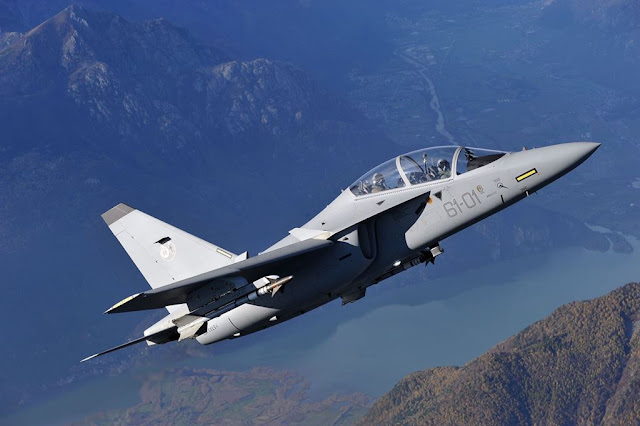 Leonardo’s integrated training system is based on the M-346 jet, designated the T-346A by the Italian Air Force. It is the backbone of the 61° Wing, which trains pilots and instructors from Italy and nations such as the USA, Spain, France, Austria, the Netherlands, Poland, Singapore, Argentina, Greece and Kuwait. The M-346 has already been purchased by Italy, Israel, Singapore and Poland for a combined order book of 72 units. Operational training, carried out by the Italian Air Force with the T-346A, prepares pilots to transition to the latest-generation combat aircraft including the Eurofighter and the F-35. The Galatina Air Force Base is also equipped with live-virtual-constructive (LVC) training technologies, including advanced CAE-built M-346 full-mission simulators. Leonardo’s LVC enables trainees on the ground to interact with pilots in the air, flying real aircraft, during the same training missions.